Enroute to Tawang from Dirang and Bomdila is Sela Pass or Se La about 14,000 feet above sea level. Tawang, in Arunachal Pradesh, is considered a Buddhist city. The pass connects Tawang to rest of India. The only way to reach this pass is by road, and the pass is covered by snow for most of the year. Enjoy the frozen lakes once you're at the top and the pristine snow around you. 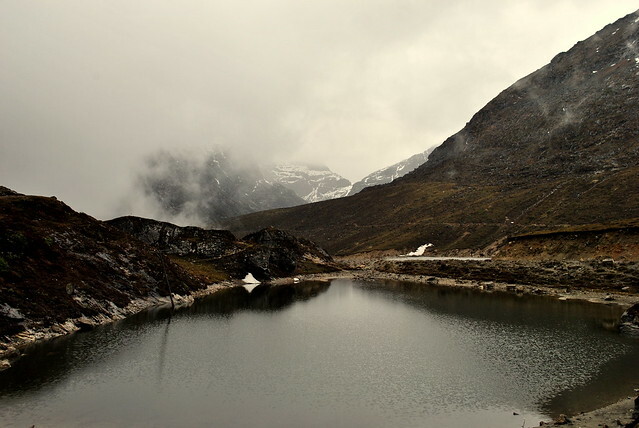 It is believed that there are 101 lakes around Sela pass. Visitors to Arunachal Pradesh need government permits. Tawang is about of 80 KMs from Sela Pass and Guwahati is 340 KMs. Sela Pass remains open throughout the year. The beautiful Sela Lake is located close to the Sela pass. It is a heavenly crystal blue water lake surrounded by snow-clad mountains. This lakes remains frozen during winter season.